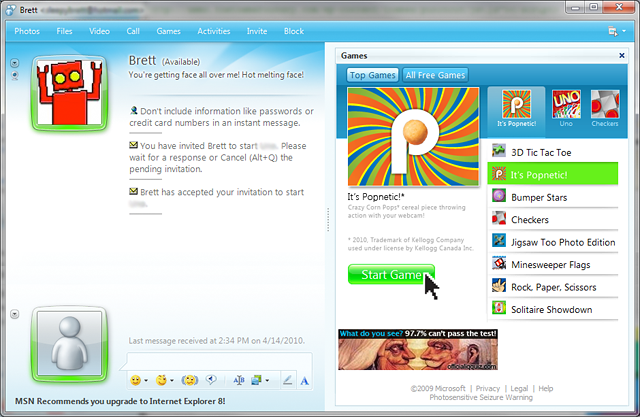 Design and interactivity for Kellogg’s branded Microsoft Messenger game. 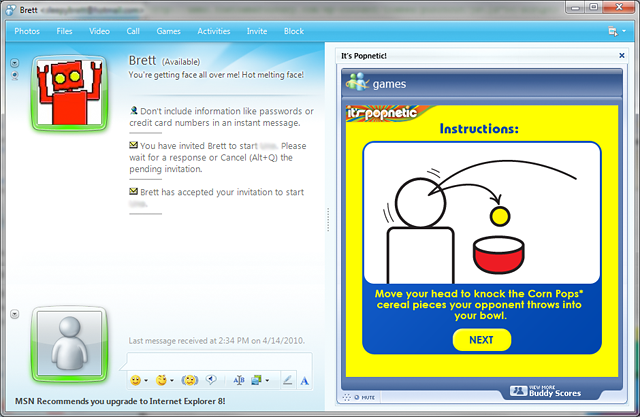 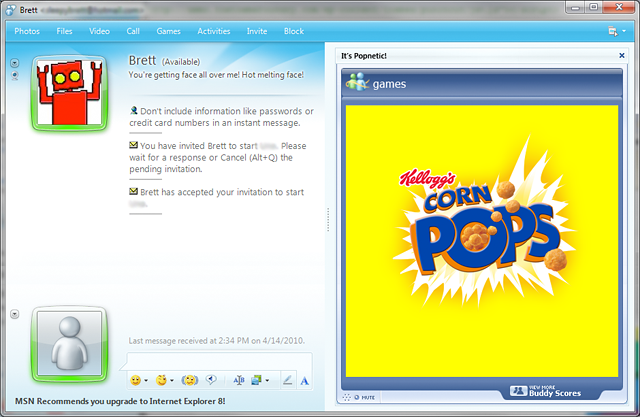 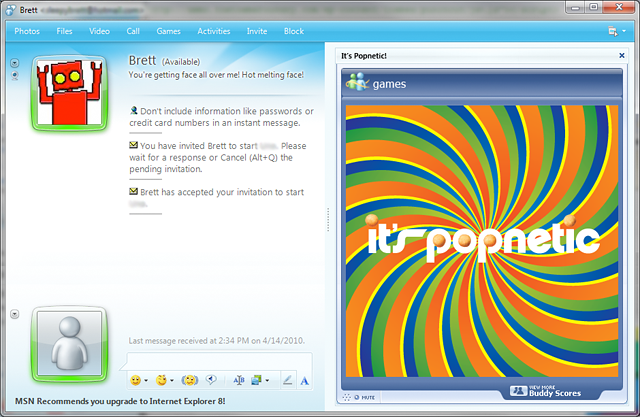 Corn Pops, the game, allowed competitive interaction between two chatting friends and drove users to Kellogg’s promotional materials. 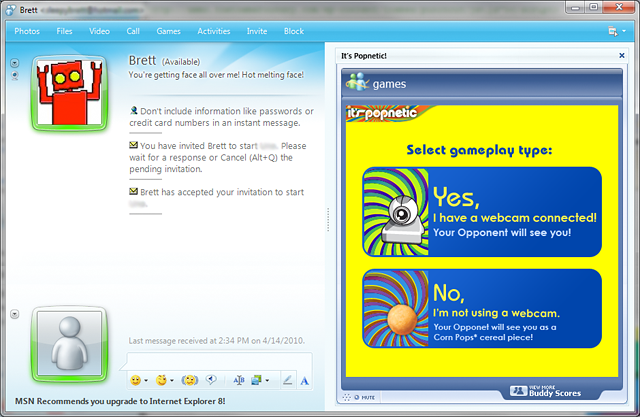 Game features live video web-chat facial tracking and interactive gameplay based on the chatting partner’s physical interaction with the virtual, on screen, gameplay elements.